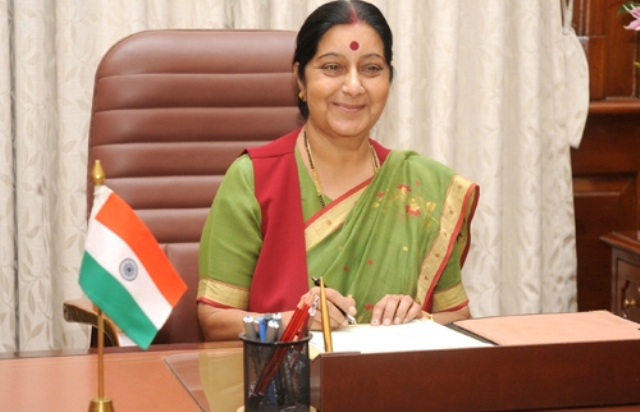 New Delhi: Hinting at no change in stance towards Pakistan, External Affairs Minister Sushma Swaraj on Monday said talks with the neighbouring country cannot take place with continued terrorism at the border, media reports said. Swaraj made the comment while addressing the annual press conference on Narendra Modi government’s fourth anniversary. “We are ready for talks. But there’s a caveat — terror and talks cannot go together. This has always been our position,” she was quoted as saying by NDTV. Swaraj has hinted that there will be no softening in stand with Pakistan. The Minister has also said India is trying to ensure that its citizens are not affected by the H1-B visa policy of the US. Swaraj said the country is in touch with all arms of the US government over the new policies of the H1-B visa. “Ultimately it’s America’s decision; they are a sovereign country but we are trying our best,” NDTV quoted her as saying further.